Please complete and submit the following online grant interest form at least 2 weeks prior to the grant deadline for the cycle you are hoping to apply. Jennifer Jones, BRCF Program Officer, will follow up with the grant contact listed within 5 business days of receipt of the form. For questions regarding the completion of this form, or the Foundation's grant process, please contact Jennifer at 317.392.7955 ext. 106 or jjones@blueriverfoundation.com. 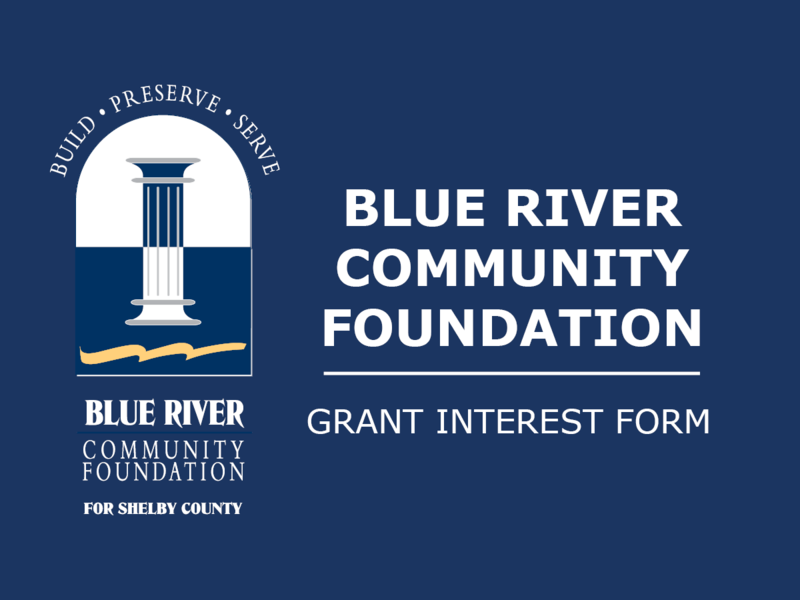 Which of the following BRCF area(s) of interest apply to your grant request? Is your organization classified as a designated 501(c)3 with the IRS? Provide a description of the charitable nature of your project/program. Please include information about the organization that will serve as the Fiscal Sponsor.